Whoa! The last time we updated was last year! 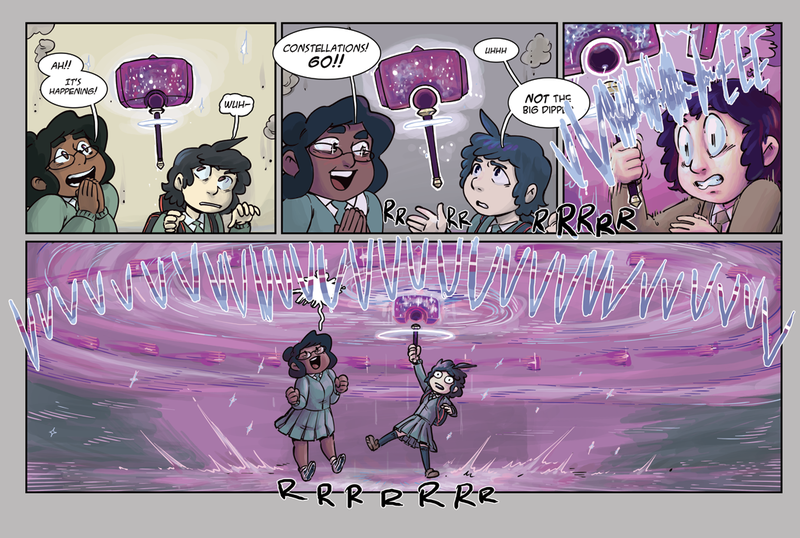 Now that we've gotten that joke out of the way, I'm pleased to present the first StarHammer page of 2016. We're starting off a brand new year with Evey discovering just what the Mallet can do. The next update is a doozy. The dialogue of this sequence was always sort of in flux. One of the earlier version had Evey talking about how she couldn't hit someone with a giant spoon. But I hope you enjoy the version we have here now!